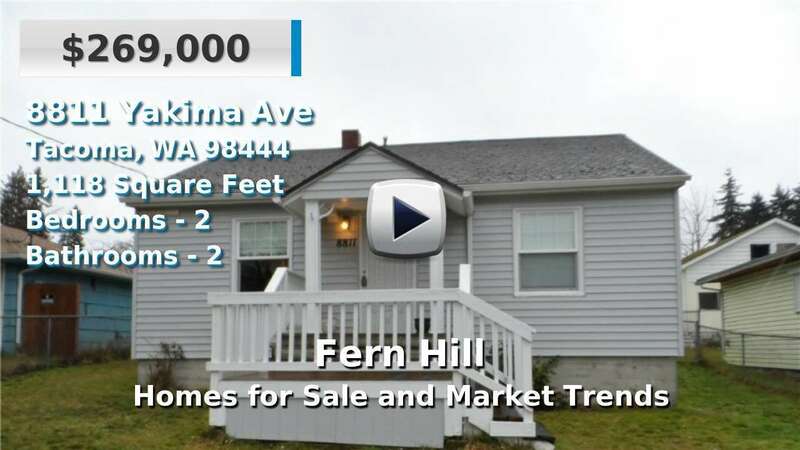 Fern Hill is a small community in southern Tacoma known for its historic charm. Several buildings, including churches and schools, were built in the 1880's and still stand today; there is even a historic walking tour for residents and visitors to learn more about the home of Tacoma's first trolley line. Homes for sale here are mostly single-family residences which range in age and style. The Fern Hill community is less than 5 miles from the northern border of Joint Base Lewis-McChord and sits near the convergence of I-5 and SR-512 for quick commuting. 4 Beds | 2.5 Baths | 1550 sq. Ft.
4 Beds | 2.5 Baths | 2097 sq. Ft.
Developable land Zoned R-2. Highest and Best Use duplex/triplex development. Site plan available for potential four duplex (8-unit) construction. Motivated Seller....Bring offers. 1/4 acre residential lot in Tacoma. Private location, convenient to freeways, shopping and parks! Blue Summit Realty has the most accurate and up to date Fern Hill real estate listings on the web. Currently there are 5 homes for sale, and 3 vacant land properties in Fern Hill. Of the 8 total Fern Hill residential listings for sale 0 are bank owned, 0 are short sales, 0 are new construction, and 0 are townhomes. The price ranges from $295,000 to $0 with a median list price of $334,980 and median sold price of $271,832. Make sure to refine your Fern Hill real estate search by property type, price, square footage, bedrooms, bathrooms and more with the search tool above or view the Fern Hill listings on our interactive map. Our Fern Hill real estate listings were updated 5 minutes ago.